Now, those who are having difficulty finding food in Venezuela have another problem: being able to afford it. Food costs in Venezuela have soared so high, they’re practically extraterrestrial. Those who didn’t stock up on emergency food back before the government there made it illegal are now probably fervently wishing they had. Here’s a crash course on hyperinflation. The food costs in Venezuela have reached hyperinflation levels. The IMF has predicted that inflation in Venezuela will reach 720% this year, while other experts set that number at 1200%. The drop in oil prices is partly to blame, as is the irresponsible spending of a socialist government. An article in the LA Times sheds some very personal light on the situation there. A reporter interviewed a woman named Maria, a single mother who works as an accounting assistant for the government. “Her monthly pay, including a food allowance, is 27,000 bolivars. Maria told the reporter that her family subsists on eggs, cassava, cornmeal, and powdered milk. She said they hadn’t eaten chicken since December. She lines up overnight to get to shop in the government regulated grocery store, but often, by the time she gets in, they are sold out. Then she has to buy her food on the black market. The last time she managed to purchase food at one government store was 3 months ago. The price of eggs at the store is the equivalent of $45 USD. The price that Maria has to pay to the illegal street vendors is…are you sitting down? $150 per dozen. One hundred fifty dollars. For twelve eggs. She pays about $20 per pound for cassava and $75-100 per pound for dry milk. Recently, the price of corn flour rose from 95 cents a pound to $9.50 per pound. One source disagrees vehemently with the contents of the LA Times article. But, as always, you have to consider the source. Telesur is an English-speaking news source, created to offer a “Latin-American perspective” on world events. But according to the International Business Times, the “news” you’re getting comes straight from the government party line. Again…sound familiar? And I’m not just talking about that scene in The Interview when the dorky news guy discovers that even though it appears that there is food in the grocery stores, it’s all fake food made of plaster. Oh…they’re also out of beer. If running out of food and toilet paper wasn’t bad enough, the country is also just about out of beer. According to CEO Lorenzo Mendoza, the country’s largest brewery and private food company, Empresas Polar, is no longer allowed to import barley to make beer due to President Maduro’s policy that closed the door on imports. “But in a bizarre twist, President Nicolás Maduro is trying to pin the crisis on Polar. Government TV spots claim — without evidence — that the company is deliberately scaling back food production and hiding inventories to sabotage the economy. Ah, yes, even now, Maduro believes in socialism over private enterprise. Do you really think the US is safe from this kind of economic disaster? There are certainly quite a few similarities between the route Venezuela took to get to this point and the road we’re on right now. It isn’t far-fetched to see how easily it could happen to us. After all, as recently as 1978, Venezuela was one of the 20 wealthiest countries on the planet. Most likely, they didn’t see this coming either. Most likely, they felt complacent and smug in their abundance, just like we do here in America. I can’t stress more fervently how vital it is that you store emergency food and supplies. Hopefully, the situation never reaches the depths that we’re seeing in Venezuela. But if it did, how long would you be able to hold on before you were standing in those long lines, only to have the door slammed shut just before you got in the store because they had sold out? Store food. You can get buckets of high-quality, non-GMO food that will last for 25 years – this is absolutely the best insurance you can purchase against the possibility of collapse and hyperinflation. As well, for shorter term emergencies, learn how to build your pantry, even if you’re on a tight budget. Store general preparedness supplies. Non-food supplies are also hard to acquire in Venezuela. 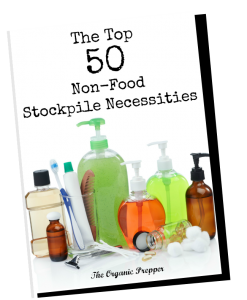 Here’s a list of 50 non-food items to stockpile. Learn to produce food. No matter where you are, you can grow some food to supplement your stockpile and any rations that might be in effect. Recently, the government of Venezuela announced that they were out of food and that people must raise their own food. Start now, whether you live on a farm or in an apartment, and learn to grow something, no matter how little. This article has tons of resources for learning to produce food. Learn to take care of medical needs. The situation with medical care in Venezuela is utterly desperate. Learn to take care of as many of your own needs as possible. You must own this book. For further reference, here are the supplies that they are out of in Venezuela. 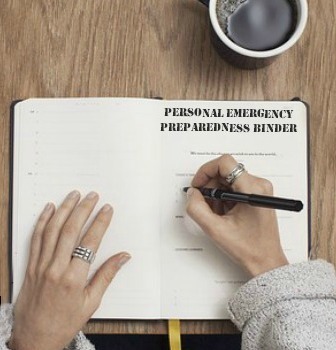 This can help you create your own list of necessary preps. There’s no time to waste as our government recklessly prints money and becomes increasingly restrictive of our ability to be self-sufficient. What you see in the news from Venezuela could be happening in our streets here in America. You’ll want to be ready.